Eddie Turner was elated with the good news that he was being promoted to section supervisor in charge of scheduling all activities in the new engineering research laboratory. The new laboratory was a necessity for Mayer Manufacturing. The engineering, manufacturing, and quality control directorates were all in desperate need of a new testing facility. Upper-level management felt that this new facility would alleviate many of the problems that previously existed. The new organizational structure (as shown in Exhibit 7-1) required a change in policy over use of the laboratory. The new section supervisor, on approval from his department manager, would have full authority for establishing priorities for the use of the new facility. The new policy change was a necessity because upper-level management felt that there would be inevitable conflict between manufacturing, engineering, and quality control. After one month of operations, Eddie Turner was finding his job impossible, so Eddie has a meeting with Gary Whitehead, his department manager. Eddie: "I'm having a hell of a time trying to satisfy all of the department managers. If I give engineering prime-time use of the facility, then quality control and manufacturing say that I'm playing favorites. Imagine that! Even my own people say that I'm playing favorites with other directorates. I just can't satisfy everyone." Gary: "Well, Eddie, you know that this problem comes with the job. You'll get the job done." Eddie: "The problem is that I'm a section supervisor and have to work with department managers. These department managers look down on me like I'm their servant. If I were a department manager, then they'd show me some respect. What I'm really trying to say is that I would like you to send out the weekly memos to these department managers telling them of the new priorities. They wouldn't argue with you like they do with me. I can supply you with all the necessary information. All you'll have to do is to sign your name." Gary: "Determining the priorities and scheduling the facilities is your job, not mine. This is a new position and I want you to handle it. I know you can because I selected you. I do not intend to interfere." During the next two weeks, the conflicts got progressively worse. Eddie felt that he was unable to cope with the situation by himself. The department managers did not respect the authority delegated to him by his superiors. For the next two weeks, Eddie sent memos to Gary in the early part of the week asking whether Gary agreed with the priority list. There was no response to the two memos. Eddie then met with Gary to discuss the deteriorating situation. Eddie: "Gary, I've sent you two memos to see if I'm doing anything wrong in establishing the weekly priorities and schedules. Did you get my memos?" Gary: "Yes, I received your memos. But as I told you before, I have enough problems to worry about without doing your job for you. If you can't handle the work let me know and I'll find someone who can." Eddie returned to his desk and contemplated his situation. Finally, he made a decision. Next week he was going to put a signature block under his for Gary to sign, with carbon copies for all division managers. "Now, let's see what happens," remarked Eddie. "Now see here, Tom, I understand your problem well," remarked Dr. Polly, director of the Research Laboratories. "I pay you a good salary to run the safety labs. That salary also includes doing the necessary scheduling to match our priorities. Now, if you can't handle the job, I'll get someone who can." Tom: "Every Friday morning your secretary hands me a sheet with the listing of priorities for the following week. Once, just once, I'd like to sit in on the director's meeting and tell you people what you do to us in the safety lab when you continually shuffle around the priorities from week to week. "On Friday afternoons, my people and I meet with representatives from each project to establish the following week's schedules." Dr. Polly: "Can't you people come to an agreement?" Tom: "I don't think you appreciate my problem. Two months ago, we all sat down to work out the lab schedule. Project X-13 had signed up to use the lab last week. Now, mind you, they had been scheduled for the past two months. But the Friday before they were to use it, your new priority list forced them to reschedule the lab at a later date, so that we could give the use of the lab to a higher-priority project. We're paying an awful lot of money for idle time and the redoing of network schedules. Only the project managers on the top-priority projects end up smiling after our Friday meetings." Dr. Polly: "As I see your problem, you can't match long-range planning with the current priority list. I agree that it does create conflicts for you. But you have to remember that we, upstairs, have many other conflicts to resolve. I want that one solved at your level, not mine." Tom: "Every project we have requires use of the safety lab. This is the basis for our problem. Would you consider letting us modify your priority list with regard to the safety lab?" Dr. Polly: "Yes, but you had better have the agreement of all of the project managers. I don't want them coming to see me about your scheduling problems." Tom: "How about if I let people do long-range scheduling for the lab, for three out of four weeks each month? The fourth week will be for the priority projects." ingly. 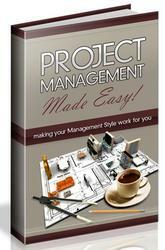 From what I've heard, some of the project managers don't let you know until the last minute." Tom: "That has been part of the problem. Just to give you an example, Project VX-161 was a top-priority effort and had the lab scheduled for the first week in March. I was never informed that they had accelerated their schedule by two weeks. They walked into my office and demanded use of the lab for the third week in February. Since they had the top priority, I had to grant them their request. However, Project BP-3 was planning on using the lab during that week and was bumped back three weeks. That cost them a pile of bucks in idle time pay and, of course, they're blaming me." On November 15, 1978, the Department of Energy Resources awarded Telestar a $475,000 contract for the developing and testing of two waste treatment plants. Telestar had spent the better part of the last two years developing waste treatment technology under its own R&D activities. This new contract would give Telestar the opportunity to "break into a new field"—that of waste treatment. The contract was negotiated at a firm-fixed price. Any cost overruns would have to be incurred by Telestar. The original bid was priced out at $847,000. Telestar's management, however, wanted to win this one. The decision was made that Telestar would "buy in" at $475,000 so that they could at least get their foot into the new marketplace. The original estimate of $847,000 was very "rough" because Telestar did not have any good man-hour standards, in the area of waste treatment, on which to base their man-hour projections. Corporate management was willing to spend up to $400,000 of their own funds in order to compensate the bid of $475,000. By February 15, 1979, costs were increasing to such a point where overrun would be occurring well ahead of schedule. Anticipated costs to completion were now $943,000. 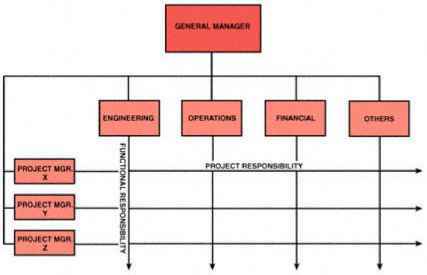 The project manager decided to stop all activities in certain functional departments, one of which was structural analysis. The manager of the structural analysis department strongly opposed the closing out of the work order prior to the testing of the first plant's high-pressure pneumatic and electrical systems. Structures Manager: "You're running a risk if you close out this work order. How will you know if the hardware can withstand the stresses that will be imposed during the test? After all, the test is scheduled for next month and I can probably finish the analysis by then." Project Manager: "I understand your concern, but I cannot risk a cost overrun. My boss expects me to do the work within cost. The plant design is similar to one that we have tested before, without any structural problems being detected. On this basis I consider your analysis unnecessary." Structures Manager: "Just because two plants are similar does not mean that they will be identical in performance. There can be major structural deficiencies." Project Manager: "I guess the risk is mine." Structures Manager: "Yes, but I get concerned when a failure can reflect on the integrity of my department. You know, we're performing on schedule and within the time and money budgeted. You're setting a bad example by cutting off our budget without any real justification." Project Manager: "I understand your concern, but we must pull out all the stops when overrun costs are inevitable." Structures Manager: "There's no question in my mind that this analysis should be completed. However, I'm not going to complete it on my overhead budget. I'll reassign my people tomorrow. Incidentally, you had better be careful; my people are not very happy to work for a project that can be canceled immediately. I may have trouble getting volunteers next time." Project Manager: "Well, I'm sure you'll be able to adequately handle any future work. I'll report to my boss that I have issued a work stoppage order to your department." During the next month's test, the plant exploded. Postanalysis indicated that the failure was due to a structural deficiency. b. Should the structures manager have been dedicated enough to continue the work on his own? c. Can a functional manager, who considers his organization as strictly support, still be dedicated to total project success? For the past several years, Kent Corporation had achieved remarkable success in winning R&D contracts. The customers were pleased with the analytical capabilities of the R&D staff at Kent Corporation. Theoretical and experimental results were usually within 95 percent agreement. But many customers still felt that 95 percent was too low. They wanted 98-99 percent. In 1989, Kent updated their computer facility by purchasing a large computer. The increased performance with the new computer encouraged the R&D group to attempt to convert from two-dimensional to three-dimensional solutions to their theoretical problems. Almost everyone except the director of R&D thought that this would give better comparison between experimental and theoretical data. Kent Corporation had tried to develop the computer program for three-dimensional solutions with their own internal R&D programs, but the cost was too great. Finally, after a year of writing proposals, Kent Corporation convinced the federal government to sponsor the project. The project was estimated at $750,000, to begin January 2, 1991, and to be completed by December 20, 1991. Dan McCord was selected as project manager. Dan had worked with the EDP department on other projects and knew the people and the man-hour standards. Kent Corporation was big enough to support 100 simultaneous projects. With so many projects in existence at one time, continual reshuffling of resources was neces sary. The corporation directors met every Monday morning to establish project priorities. Priorities were not enforced unless project and functional managers could not agree on the allocation and distribution of resources. Because of the R&D director's persistence, the computer project was given a low priority. This posed a problem for Dan McCord. The computer department manager refused to staff the project with his best people. As a result, Dan had severe skepticism about the success of the project. In July, two other project managers held a meeting with Dan to discuss the availability of the new computer model. "We have two proposals that we're favored to win, providing that we can state in our proposal that we have this new computer model available for use," remarked one of the project managers. "We have a low priority and, even if we finish the job on time, I'm not sure of the quality of work because of the people we have assigned," said Dan. "How do you propose we improve our position?" asked a project manager. "Let's try to get in to see the director of R&D," asserted Dan. "And what are we going to say in our defense?" asked one of the project managers. The next several pages contain a six-part case study in conflict management. Read the instructions carefully on how to keep score and use the boxes in the table on page 417 as the worksheet for recording your choice and the group's choice; after the case study has been completed, your instructor will provide you with the proper grading system for recording your scores. As part of his first official duties, the new department manager informs you by memo that he has changed his input and output requirements for the MIS project (on which you are the project manager) because of several complaints by his departmental employees. This is contradictory to the project plan that you developed with the previous manager and are currently working toward. The department manager states that he has already discussed this with the vice president and general manager, a man to whom both of you report, and feels that the former department manager made a poor decision and did not get sufficient input from the employees who would be using the system as to the best system specifications. You telephone him and try to convince him to hold off on his request for change until a later time, but he refuses. Changing the input-output requirements at this point in time will require a major revision and will set back total system implementation by three weeks. This will also affect other department managers who expect to see this system operational according to the original schedule. You can explain this to your superiors, but the increased project costs will be hard to absorb. The potential cost overrun might be difficult to explain at a later date. A. You can remind the department manager that you were on the search committee that recommended him and then ask him to return the favor, since he ''owes you one." B. You can tell the department manager that you will form a new search committee to replace him if he doesn't change his position. C. You can take a tranquilizer and then ask your people to try to perform the additional work within the original time and cost constraints. D. You can go to the vice president and general manager and request that the former requirements be adhered to, at least temporarily. E. You can send a memo to the department manager explaining your problem and asking him to help you find a solution. F. You can tell the department manager that your people cannot handle the request and his people will have to find alternate ways of solving their problems. G. You can send a memo to the department manager requesting an appointment, at his earliest convenience, to help you resolve your problem. H. You can go to the department manager's office later that afternoon and continue the discussion further. I. You can send the department manager a memo telling him that you have decided to use the old requirements but will honor his request at a later time. Although other alternatives exist, assume that these are the only ones open to you at the moment. Without discussing the answer with your group, record the letter representing your choice in the appropriate space on line 1 of the worksheet under "Personal." As soon as all of your group have finished, discuss the problem as a group and determine that alternative that the group considers to be best. Record this answer on line 1 of the worksheet under "Group." Allow ten minutes for this part. A. He can accept your solution in its entirety without asking any questions. B. He can discuss some sort of justification in order to defend his position. C. He can become extremely annoyed with having to discuss the problem again and demonstrate hostility. D. He can demonstrate a willingness to cooperate with you in resolving the problem. E. He can avoid making any decision at this time by withdrawing from the discussion. A. I've fiven my answer. See ihL1 general m-ana^ir if yOU'CC mM i'.Lirjfiy. l(m. Lei's dii it yoii-r way. C. 1 liiidmCinil your problem. bui I'm d(jinj; wku ¡k hcM for my [lepartrm.'nt. E Let metiplainto you why w( neeil ihi new rMtuircnvcriLK. (-. Stt my set Lion supervisors. It «-as ttieir recommendation. G. New msnsgcr1; .inc *uppc«cd 10 come Lip w i ch [liu1 a ltd hetfiT wayji. aren't they'? In the table above are several possible statements that could be made by the department manager when confronted with the problem. Without discussion with your group, place a check mark beside the appropriate emotion that could describe this statement. When each member of the group has completed his choice, determine the group choice. Numerical values will be assigned to your choices in the discussion that follows. Do not mark the worksheet at this time. Allow ten minutes for this part.